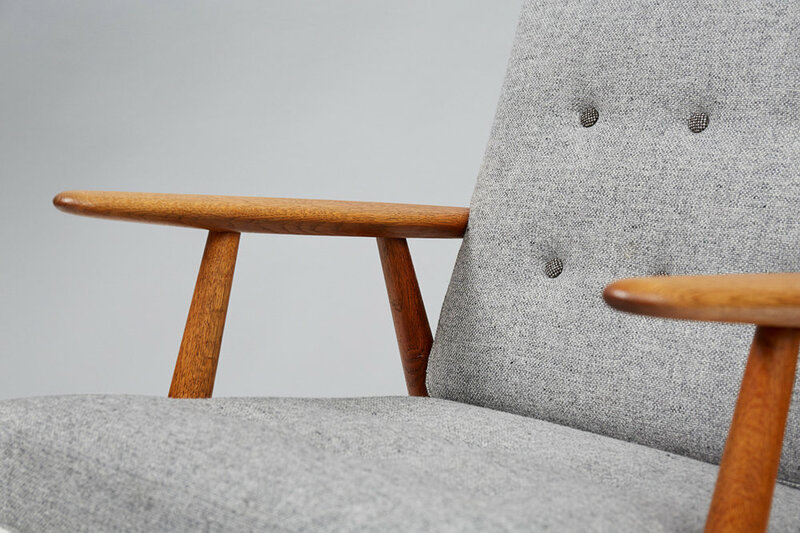 Pair of lounge chairs produced by Getama in Gedsted, Denmark in the late 1950s. 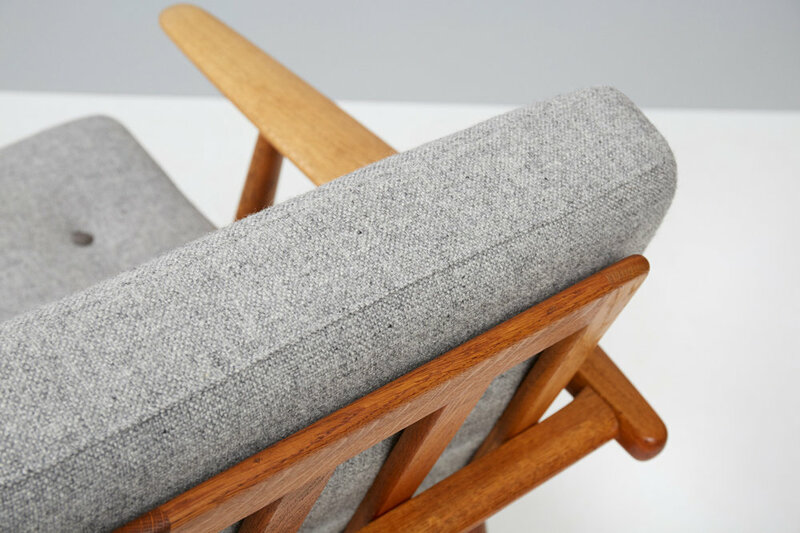 Patinated oak frames with original sprung cushions reupholstered in grey Hallingdal wool fabric. Maker's branded stamp under seat.